Quercus x filialis is a tree, in the red oak group, possibly only one or two left in NYC. 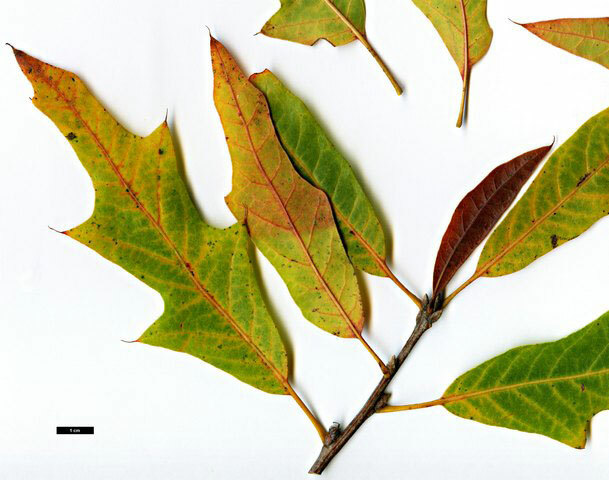 Leaves narrow with variable lobes . Flowers monoecious. males in cakins, females 1 to several together.